Have you ever tried an Italian Mediterraneo Restaurant while on your Kenyan vacation? 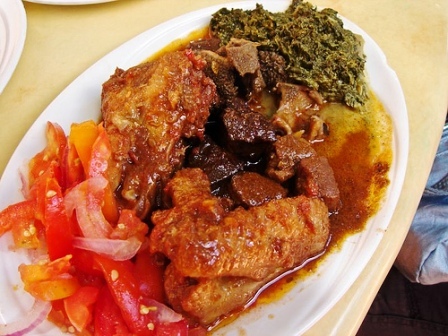 on this page we will guide you to Italian Restaurants in Nairobi Kenya. Italian Mediterraneo, the unique Italian experience in the heart of Nairobi, brings you an unforgettable experience of true Italian dining. Set in its warm colours, it takes you back to the streets of Florence. The menu at Italian Mediterraneo Restaurant encompasses these values with a selection of typical Italian fare, including excellent Pastas, a wide variety of traditional Antipasti (starters), Secondi Piati (Main Courses), Pizzas and Calzone (folded pizza), Focaccia and Dolci (desserts). I have eaten at Mediterraneo several times, and I have never had a meal that I didn’t enjoy. It’s one of those places! Some of the antipasti I would recommend are the Bresaola della Valtellina (thin slices of cured beef with olive oil, lemon juice, parmesan cheese and rocket) or the Salmone affumicato Norvegese (Norwegian smoked Salmon). For a main course their Carpaccio (raw, thinly sliced beef arranged on a plate with a simple accompaniment of olive oil, artichoke hearts, parmesan and rocket) is excellent as is the Filetto alla Crema di Gorgonzola (Beef fillet with Gorgonzola cheese sauce).